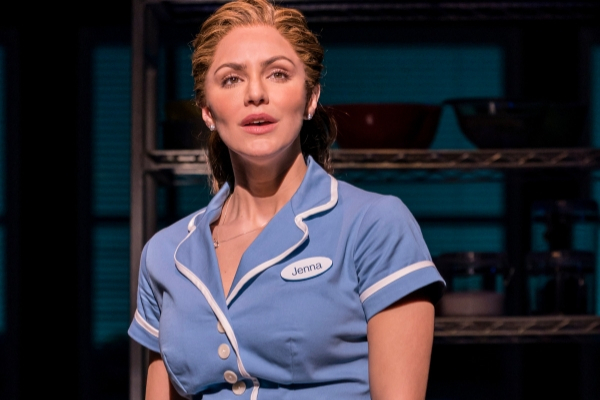 It’s been confirmed that Katharine McPhee will be putting her apron down and bidding farewell to the West End production of Sara Bareilles’ musical Waitress on 15 June 2019. Cue speculation about who will replace her. There are rumours that Lucie Jones is next in line, but we shall have to wait and see! Alongside Katharine McPhee as Jenna, Waitress at the Adelphi Theatre stars Jack McBrayer as Ogie, Marisha Wallace as Becky, Laura Baldwin as Dawn, Peter Hannah as Earl, David Hunter as Dr. Pomatter and Shaun Prendergast as Old Joe.